We've addressed weight clauses before in player's contracts - including for Glen "Big Baby" Davis and Derek Caracter. Jon Schuppe of NBC News now writes on the Phillies negotiating one with Delmon Young. There's some reason to believe weight clauses are not especially effective -- the Bulls apparently tried weight clauses with Michael Sweetney, the now 30-year-old talented power forward who hasn't played in the NBA since 2007 due to obesity (the Celtics would later bring him to training camp but his weight had gotten too much). Weight clauses might also prove counter-productive, given that some players play well heavy (David Wells, Charles Barkley etc.). Then again, Davis slimmed down this season for the Orlando Magic and is having his best season in the NBA. But hard it's to know if weight is the reason or if its because he's starting and is in the prime of his career at age 27. The Washington Nationals hold the Presidents Race in the middle of the fourth inning, between giant heads of the four presidents on Mount Rushmore. One running story had been Teddy Roosevelt's losing streak, which finally ended last season. The Nats today introduced a fifth president for the races--William Howard Taft. As explained here, Taft's size (i.e., girth) and facial hair could make him a fan favorite (although the photos show he is not that much larger than the other president heads. There also is the potential for a fun rivalry, given the political rift between Roosevelt and Taft. More importantly, every race now can be part of an off-shoot event--Justice Races. No matter how Taft does against the other presidents, he always will be the fastest justice. Kudos to Cynthia Arato and our own Alan Milstein, who has authored some of the best posts on our blog. Cynthia and Alan successfully represented the New York Knicks and the team's assistant general manager and former NBA all-star Allen Houston in a $7.5 million slander and interference case. The lawsuit was brought by Arthur Rondeau, a basketball coach who previously worked with noted motivational speaker Anthony Robbins. Rondeau claimed he was instrumental in helping Houston become a better NBA player and that Houston promised him help landing a coaching job with the Knicks or another NBA team. In a recent bench-decision, New York state judge Charles Ramos rejected as too vague Rondeau's assertion that Houston interfered with Rondeau's coaching aspirations or reneged on an actionable contract. The judge also did not find support for Rondeau's contention that Houston slandered him by allegedly telling others in the NBA that Rondeau was black mailing him. Additional details of the decision can be found in this Law360 article (subscription only). Here are the January issues of Sports Litigation Alert and Legal Issues in College Athletics, which include my summary of last month's decision by the Fourth Circuit rejecting several constitutional claims in the Duke lacrosse players' civil suits. 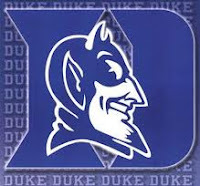 Warren Zola and I will be speaking tomorrow, Friday, January 25th at Duke Law for its 3rd Annual Sports & Entertainment Law Symposium along with a wide array of counsel and leaders in the business of both sports and entertainment. Below is the schedule. If you are in the Research Triangle area, hopefully you can make what looks to be a great event. Last week, the National Transportation Safety Board (“NTSB”) released its Factual Report regarding the November 17, 2011 airplane crash that killed Oklahoma State University (“OSU”) Women’s Basketball coach Kurt Budke and his assistant coach, Miranda Serna. I blogged in this space upon receipt of the Preliminary Report from the NTSB last January. Recall that this was the second tragic plane crash to afflict OSU within a decade. In 2001, an airplane chartered for the OSU Men’s Basketball team crashed in Colorado, killing ten, including two players. The NTSB determined that the 2001 crash resulted from inadequate management by the pilot. Thereafter, OSU revised its team travel policy, which the NTSB held up as a model for other sports organizations (see this January 21, 2003 letter from the NTSB to Dr. Myles Brand, former NCAA President). This modified travel policy only applied to student athletes and not to coaches and staff, and as such, did not apply to the flight that killed coaches Budke and Serna in 2011. In other words, Budke, Serna, and other coaches and staff could travel at their own discretion. This discretion was eliminated last November. On November 30, 2012, the Board of Regents for Oklahoma State University and the A&M Colleges, based on a recommendation from a task force made up of coaches, professors, university officials, and aviation professionals, put into place a new travel policy to apply to all OSU employees and student athletes while conducting university business. Specific to air travel, private aircraft must be inspected and those piloting the aircraft must be approved every six months before travel is cleared by aviation consultants. Due to significant regulation already in place for fractionally-owned aircraft and commercial carriers, the guidelines in place are less severe for said aircraft. The new policy also requires employees to report any violation of the travel policy. Although last week's Factual Report does not outline a cause, it appears that several of the flight control cables were broken on the Piper Cherokee that crashed in good weather near Perryville, Arkansas on November 17, 2011, with each fracture consistent with overload. Given the Factual Report, it is safe to assume that the worn cables will loom large when the NTSB ultimately issues its probable cause findings. The Factual Report further notes that Paula Branstetter, wife of the operating pilot and also a current pilot, was sitting in the back with Serna. Budke, sitting in the right seat up front, was not a pilot. These facts also serve to underscore the risks associated with a travel policy that allows employees or students to fly aboard private aircraft with private pilots. Air carriers who offer carriage “for hire” operate under more stringent FAA rules and standards with respect to maintenance, record-keeping, and actual flight operations than do private aircraft owners and pilots. A private pilot’s interest in self-preservation is sometimes not enough to induce meticulous maintenance and cautious operations, and is not a substitute for the more rigorous FAA oversight to which carriers “for hire” are subject. OSU’s new policy, therefore, is more than a knee-jerk reaction to two particularly terrible events; it instead represents a thoughtful step in the right direction toward a safer travel program. While unbelievably tragic for OSU, the hope is that the more developed travel policy that resulted from the 2011 crash will eliminate or mitigate future accidents of this nature, and serve as a model for other schools and athletic departments. Hat tip to my partner, Mike McGrory, in my Aerospace Group for his thoughts here. My wife is an Orioles fan, who grew up in Earl Weaver's heyday in the 1970s and early '80s. And I grew up watching the original A.L. East and always found him entertaining. So Weaver's passing brought back fond memories of his famous (and infamous) arguments with umpires. I always thought that one mark against the judge-umpire analogy is that lawyers could never talk to judges the way managers talk to umpires. Someone pointed out that this did not undermine the analogy. Rather, it is about established expectations and rules--lawyers and judges interact under a set of rules, while umpires and judges operate under a different set. And Weaver may have had his own set. So, enjoy. * I have some thoughts for SI.com on Lance Armstrong's interview on Oprah Thursday night. I was not a fan of Armstrong's showing, though I thought Oprah was outstanding in her substantive choice of questions and wording of them. The New York Times' Lynn Zinser has an excellent analysis of the media's coverage. * An appellate court says a fan at a Royals game whose eye was seriously injured by a hot dog launched by the Royals mascot did not necessarily consent to that risk merely by going to the game. I wrote about this lawsuit - Coomer v. Kansas City Royals -- back in 2010 for TortsProf Blog. You may consent to the risk of getting hit by a foul ball, but do you consent to the risk of getting hit by a flying hot dog? * Dan Fitzgerald on a nice and unheralded gesture by Fairfield University and its basketball team. * Darren Heitner and Benjamin Haynes discuss one man's legal attempt to hold the San Antonio Spurs responsible for not playing its best players. * The Manti Te'o situation is bizarre. I discuss its legal ramifications with CBS Houston. * An independent investigation criticizes NBA Players Association executive director Billy Hunter. * I'll be a guest on HBO Real Sports with Bryant Gumbel Tuesday night to discuss Royce White's legal battle with the Houston Rockets. The show will air at 10 p.m. Eastern. U.S. District Judge Ginger Berrigan yesterday dismissed under FRCP 12(b)(6) the defamation suit filed by Jonathan Vilma, one of the Saints player suspended in "Bountygate,"against Roger Goodell (but not the NFL). The court concluded that Goodell made these statements in his role as commissioner exercising his investigative powers under the CBA, thus the claims were precluded by the anti-suit provision and other portions of the CBA and the Labor Management Relations Act. The court also concluded that Goodell could not have acted with actual malice because his statements came after an investigation, even if it was a procedurally flawed one. The second of those conclusions is a bit dicey, although the first seems right (based on what little I know about the LMRA). And the court was not always faithful in drawing all inferences in the plaintiff's favor. There also is some gratuitous "look at me" language toward the end that the case "feels as protracted and painful as the Saints season itself" and taking a potshot at Goodell that had he been less heavy-handed, the lawsuit could have been avoided. Lines like that always sounds better coming from Posner or Kozinski. In any event, the timing of this decision is good for me. I gave my Civ Pro students Vilma as one of their sample pleadings (it lends itself to a great subject matter jurisdiction question) and we just started talking about 12(b)(6). * Royce White has been suspended by the Houston Rockets. White, an NBA rookie who suffers from generalized anxiety disorder and an associated fear of flying, has been unable to report to the Rockets this season. The team suspended him last week after he refused to report to the team's D League team. I have an article coming out in the Pepperdine Law Review titled "Do You Believe He Can Fly? Royce White and Reasonable Accommodations under the Americans with Disabilities Act" on this topic, which has also been discussed by Tom Ziller of SB Nation and Jonathan Feigen of the Houston Chronicle, among others. * Legal Impact of RGIII's injury. Benjamin Haynes of Sport in the Law explores the potential legal impact of the Redskins playing Robert Griffin III when he was clearly hurt. Griffin now faces major knee surgery. * Value of team domain names in for a change? Darren Heitner of Forbes looks at why league alternatives to .COM domain extension -- like .BASEBALL -- may mean no longer as essential for teams to own their Internet names on .COM (e.g., cowboys.com is not owned by the Dallas Cowboys or NFL). * Jeffrey Standen on Corbett v. NCAA. Jeffrey Standen, who runs The Sports Law Professor and has written for our blog, has an op-ed on CNN.com titled Pennslyvania's Lawsuit against the NCAA is absurd. * The Top 10 Sports Law Matters in 2012. Kenneth Shropshire, special counsel to Duane Morris and professor/head of the sports business program at Wharton, looks at the top 10 sports law matters in 2012 for Duane Morris's blog. * Why did the NHL lockout last so long? Sports Law Blog writer and Fordham sports law professor Mark Conrad has some thoughts on that for The Christian Science Monitor. * Paying College Players would mean payroll taxes for colleges. This point is noted by Duke Law Professor Paul Haagen in the Toronto Star. * As always, check out The Sports Agent Blog and Connecticut Sports Law. These are two excellent sports law blogs. They are run by Darren Heitner and Dan Fitzgerald, respectively, and both do a great job. I'll thrilled to announce I'll be joining the University of New Hampshire School of Law as a tenured professor of law and director of a new sports and entertainment law institute. The institute will be launched in the fall and will be part of the Franklin Pierce Center for Intellectual Property, which is consistently ranked by U.S. News and World Report as one of the best IP programs in the country. I'm very excited to think about the possibilities ahead and to help students gain experiential and employment opportunities in these dynamic fields (especially since a new law employment report finds: "Legal jobs in the sports industry are red-hot right now".). Noted sports law expert Michael McCann will join the University of New Hampshire School of Law this fall to launch a new Sports and Entertainment Law Institute. McCann has been a visiting professor at UNH Law during the 2012-13 academic year. The Sports and Entertainment Law Institute will provide opportunities for students who demonstrate a talent and passion for sports and entertainment law with core skills in these practice areas and opportunities for thoughtful discussion of contemporary legal issues in the field. The Institute will help students gain real-world skills to obtain, and succeed in, careers in sports and entertainment law. Students will have the opportunity to enroll in a wide-range of core and supporting courses. The Sports and Entertainment Law Institute will be a great pairing with our historic strengths in trademark and copyright law. And we are very fortunate to have Michael McCann, one of the most exciting legal scholars in the country, leading the way. The Sports & Entertainment Law Institute will be part of UNH Law’s Franklin Pierce Center for Intellectual Property, which is consistently ranked by U.S. News and World Report as one of the nation’s best intellectual property law programs. I’m thrilled to join a school which is deservedly renowned for its intellectual property law program. To launch a sports and entertainment law institute as part of this program is a fantastic opportunity. I can’t wait to work with students in developing hands-on skills in sports and entertainment law, and helping them enter those fields. For more on the news, click here. So the greatest home run hitter of all time and, arguably, the best right hand pitcher of all time (other than Bob Gibson) are not hall of famers. Not now maybe not ever. While most would agree each would have been accomplished enough to gain entry had he never taken performance enhancing drugs, the baseball writers and other Cooperstown voters have deemed them cheaters whose records are nothing more than ill-gotten gains. Forget the fact that neither Bonds nor Clemens ever tested positive for banned substances and Clemens is actually accused of taking drugs which were not even on the banned list at the time, it is safe to assume each made the choice to try to enhance their performance to some degree by ingesting or injecting certain manufactured chemical compounds. How do we react to this pronouncement? As fans? As attorneys? As human beings? With sadness on all three accounts. I would have voted for their admission. Like Rose, their absence will loom larger than their inclusion, which would have come not only with all the baggage but with the lessons to be learned from life. Oakley's lawsuit against Rory McIlroy and Nike, filed December 15, 2012 in the Central District of California, highlights the importance, and difficulties in drafting a right of first refusal in athlete endorsement contracts. As set forth in Oakley's complaint, it had the right to match any offer McIlroy received for "products the same or substantially similar to the Products," which were defined as "eyewear, apparel and accessories" as set forth in an exhibit to the agreement. Nike made an offer for McIlroy to endorse a whole range of Nike products, without specifying the amount of the endorsement fees attributable to each of the products, including the Products covered by Oakley's contract. Thus, when Oakley notified McIlroy that it was matching Nike's offer, it did not know the amount that had been offered for McIlroy's endorsement of the Products and relied on "average product endorsement allocations in the golf industry" to offer 20% of the dollar amount of Nike's package offer. 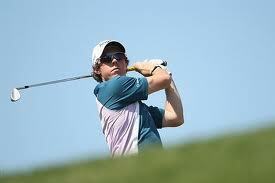 Notwithstanding Oakley's "match" of Nike's offer, McIlroy proceeded to contract with Nike, leading to the lawsuit. The basic question: Did Oakley's "match" of 20% of Nike's total satisfy the matching right under the right of first refusal? It is difficult to anticipate all the elements that might be included in an endorsement offer from a company seeking to wrest away an athlete and to cover all scenarios for a right of first refusal. Nevertheless, a right of first refusal provision should attempt to define as specifically as possible each of the products covered by the right, the form for an offer from a new company, and each of the elements that must be matched for the matching right to be invoked effectively. Are there certain elements that won't count for matching purposes? Will only cash compensation count? Are products specifically defined so that it is clear which products are covered, and which products are not subject to a matching right? Are there specifications for how the competing offer must be structured, such as allocating endorsement fees among each category of endorsed product? Each of these points can create thorny issues, as Oakley's lawsuit demonstrates. As the annual ritual of New Year’s Day bowl games came to a conclusion, Pennsylvania Governor Tom Corbett held a press conference that was, in a sense, curiously timed yet simultaneously fitting. Corbett announced that the Commonwealth of Pennsylvania is suing the NCAA for antitrust violations stemming from the sanctions imposed upon Penn State in the wake of the Jerry Sandusky scandal. Corbett intimated that sanctions (4-year bowl ban, $60 million fine, scholarship reductions, and vacation of wins) were unlawful, and imposed with intent to disadvantage Penn State both on and off the field. The full complaint can be found here. There are financial and political considerations at play here, and in no uncertain terms, the suit seeks to protect Penn State football. Like any fact-intensive antitrust suit, many key issues are far from resolved, and much is still to be determined (for a full analysis of the merits of the suit, see Mike’s Sports Illustrated piece). Also, see Marc and Howard's comments from earlier. What is apparent from Corbett’s actions and from the face of the Complaint, however, is that college football possesses influence and leverage unmatched by any other sport. The language of the Complaint readily concedes the influence of the sport, stating at the outset of the facts that “Division I college football is big business.” Further, much of the State’s case centers on the alleged economic impact of the sanctions, including effects on the School’s revenue, on local businesses, and on jobs. 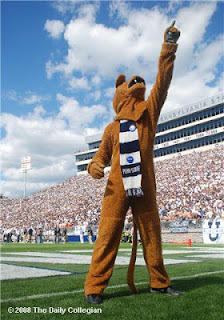 The economic effects will be determined in discovery if the case reaches that phase, and the actual impact beyond the fine and lost bowl revenue is questionable since Penn State will still play all of its home games for the duration of the penalty, and still has attendance figures that rate near the top in Division I. But the point is clear: top tier college football programs are among the most valuable assets of state and local economies. Like any valuable commodity, expect all stops to be pulled out in protecting what many consider Penn State’s most prized asset. I do not represent the NCAA (never have), and I have actually been directly adverse to the NCAA, and actively defend student-athletes, coaches, schools, and related companies in various NCAA enforcement proceedings. That being said, I am troubled by various aspects of this Complaint as drafted. Some quick thoughts on my initial read of the Complaint are below. Unfortunately, Corbett claims that constitutional due process was owed to Penn State, and not given. Neither Penn State nor any other NCAA member institution is owed such protections in the NCAA administrative law system (see my blog piece here attacking this notion). Corbett makes an improper legal conclusion on this point in Paragraph 53 defining “ ‘traditional investigative and administrative proceedings’-i.e., due process”. Two sentences that should not be back to back in this Complaint: “Penn State was forced to sign away its procedure rights, including an investigation of the charges against it, factual findings that NCAA rules were violated, a hearing before the NCAA’s Committee on Infractions, and an appeal of any adverse ruling.” Followed by… “These punishments threaten to have a devastating, long-lasting, and irreparable effect on the Commonwealth, its citizens, and its economy.” As someone who actively works on matters in the NCAA administrative law system, I can tell you that it could have been more devastating, more long-lasting, and possibly irreparable if Penn State did not sign the consent agreement and actually went through the infractions process. The death penalty and punishment short of the same, but worse that the current Penn State sanctions, certainly could have resulted through the infractions process. I am not saying that I agree with what the NCAA did here, but if I am a Nittany Lion, I am not so quick to assume that I would get a better deal going through infractions. I believe that some programs in the NCAA get treated differently than others on the enforcement end of things. However, Corbett is suggesting that there is some intent to bring Penn State down as if the NCAA was looking for a reason to do so, and jumped on the opportunity with the Sandusky scandal. This is a stretch, which does not advance the ball to defeat a Motion to Dismiss, so Corbett may lose some credibility with the Judge on this one. Related to the above, Corbett is suggesting a conscious effort on the part of the NCAA to advance other member institutions at the expense of Penn State. What schools would those be? Competitors in the Big Ten that felt the weight of Penn State bringing down conference revenues? Schools that could pick-off those players who wanted to transfer as a result of the sanctions? There is a great deal of ink devoted to all of the money spent in Pennsylvania in support of Penn State football, but nothing in the NCAA sanctions effects that income (the same amount of games are played by Penn State in the Commonwealth) so long as people keep supporting the program, which certainly was not a problem this year. A death penalty that would only result if Penn State went through the infractions process would have had the negative effects that Corbett enumerates. I have not yet had someone articulate for me how the current Penn State sanctions could be worse that the one year death penalty suffered by SMU. A notion that Corbett suggests in Paragraph 73(b). Corbett admits that the revelation of Sandusky’s crimes “created a public relations crisis around its popular and respected football program for more than forty years suddenly found itself broken.” Did the NCAA make it more broken with the subject sanctions? Prior to the NCAA’s involvement, Corbett admits that “Penn State’s public image had been significantly tarnished.” Did the NCAA make it more significantly tarnished with the aforementioned sanctions? There is not an argument in the alternative here. That would look something like: “this is none of the NCAA’s business, so invalidate”, or in the alternative, “we did not get to go through the infractions process, so invalidate.” Instead, the Complaint reads that “this is none of the NCAA’s business” and “we want our hearing that NCAA business gets”. What is to say that a drop in interest in the program from incoming recruits, current players, alumni, and others is not the result simply of Sandusky’s crimes and the allegations of cover-up in the greater football staff and University administration? How will Corbett prove this up, particularly after spending multiple paragraphs of his own complaint acknowledging the damage to the program before the NCAA acted? Interestingly, it seems that Corbett has long recognized both the importance and the politics of college sports. He cited his desire to avoid distracting the football program as rationale for the timing of the filing. Further, Corbett, who previously served as Pennsylvania Attorney General, has been widely criticized for his staff’s delayed reaction to the Sandusky allegations while serving in that role. It has been posited, fairly or unfairly, that his deliberation was a tact employed to avoid upsetting Penn State supporters (and Corbett voters). Incoming Attorney General Kathleen Kane has criticized Corbett, and has vowed to investigate the delay. To be fair, this phenomenon is not unique to Corbett and PSU. We have seen this in other contexts, whether it be former SMU President and Texas Governor Bill Clements’ involvement in the School’s pay-for-play scandal, Utah Senator Orrin Hatch threatening to bring an antitrust suit against the BCS, or the slew of litigation related to conference exit fees imposed on departing member institutions. The fact remains that college football begets strong emotional responses, and often the accompanying litigation. Interestingly, since Penn State is a public institution tax payers, many whom are assuredly Penn State fans, are going to foot the bill for both the litigation and the fine. In handing down the sanction in the first place, the NCAA noted that criminal charges are generally outside the purview of its jurisdiction, but it was the administration’s lack of institutional control over the football program that triggered the response. Essentially, sanctions that stemmed from an irrational reverence for the sport have now triggered litigation designed to protect the same. Corbett alleges that the relationship between the sanctions and the sport is too attenuated, yet ironically, the case serves as a reminder that sometimes sports overshadow and often diminish more significant societal issues. This is, perhaps, most evident in the realm of college football. Howard blogged about Pennsylvania's lawsuit against the NCAA this morning. For two other takes, see Marc Edelman's piece for Forbes and my piece for Sports Illustrated. The Commonwealth of Pennsylvania (with the support of lots of Penn State students, alumni, and leaders, but not PSU itself) is filing an anti-trust action against the NCAA, claiming it lacked the power to sanction the school for "tangential" things such as covering up criminal activity by a person with close access to its football program. Philly.com and what appears to be a PSU fan site both live-blogged Gov. Tom Corbett's press conference. I know nothing about anti-trust, so I leave it to others to weigh-in on whether this has legs. I am surprised anyone associated with PSU or Pennsylvania wants to keep this thing alive even longer. But, here we go. Update: Deadspin offers some analysis, including an embedded copy of the complaint. Further Update: I just finished reading the complaint, which at 43 pages, 82 paragraphs, and one count offers a refreshingly "short and plain statement" for this type of case (compare the ridiculous tomes that passed for complaints in the Duke lacrosse cases). As I said, I know nothing about antitrust, so I really cannot speak to the merits of this lawsuit (the Deadspin writer I link to above is convinced the Commonwealth should and will win). But a few things jumped out at me. 1) There really is no good actor in this case. The NCAA is a reprehensible organization, Penn State acted in a reprehensible fashion, and the Commonwealth happily benefited and encouraged it all. 2) There is language throughout the complaint in which the plaintiff basically admits that the university is primarily a vehicle for operating a money-making football program, everything about the university revolves around that, and, essentially, Penn State is not Penn State if it loses its powerhouse football program. Everyone already knew this, of course, and its a legally significant fact that must be pled to show market harms in an antitrust case. Still, it is striking to see it in print. Relatedly, there is an odd blame-shifting in several places, in which the Commonwealth acknowledges that the PSU football program was out of control, but blames the NCAA for incentivizing it to be that way.